Have you made the decision to start an aircraft broker business? We discuss the problems that sometimes come as a surprise to first-time entrepreneurs. Here are several pragmatic bits of advice on how to open an aircraft broker business. Aircraft brokers facilitate the buying and selling of aircraft in the U.S. unlike other types of transactions, aircraft sales can be nuanced. Without the services of a qualified broker, it can be difficult to locate buyers or sellers willing to participate in fair market value transactions. The best aircraft brokerage entrepreneurs are experienced aviators. Although you don't have to be a veteran pilot, industry experience of some sort is essential. Also, the most successful startup owners are industrious entrepreneurs capable of generating revenue through a range of services including aircraft maintenance, delivery and import/export assistance. 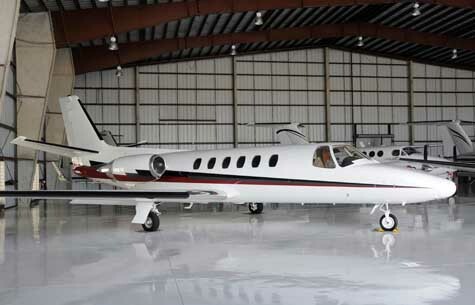 Aircraft brokerage is a relatively tight-knit business community. Consequently, startup entrepreneurs should actively engage with industry-specific networks and organizations such as the Aircraft Brokers Association International. By nature, aircraft brokerage is a highly competitive industry. In order for one broker to win, another broker has to lose -- or at least be willing to settle for less than an optimal outcome for their client. As an aircraft brokerage startup, your track record and reputation will be your primary selling points for new clients. To establish your brokerage as a serious contender, you'll need to focus on delivering a handful of consistent outcomes to the sellers and buyers you represent. Expertise. In aircraft brokerage, knowledge really is power. The more you know about aircraft, the easier it will be to deliver great results to your clients. In addition to a broad aircraft knowledge base, you'll need to cultivate expertise in the valuation multiple types of aircraft based on current market conditions. Connections. Relationships play a role in aircraft brokerage. Industry newcomers often struggle to make their mark simply because they lack connections with other brokers and industry players. By nurturing connections in the regional and even national marketplace, you increase your appeal to prospective clients. Negotiation Skills. Good aircraft brokers are great negotiators. If negotiation isn't your strong suit, you need to brush up on negotiation tactics ASAP, even if it means enrolling in a business or sales negotiation course. Business plans are the entryway to successful small business ownership. Despite the diversity that exists in business plan writing, there are several essential elements that good business plans simply must include. Business plan software eliminates the guesswork, insulating your aircraft broker business from the possibility of critical omissions. The best business plan solutions can be tailored by industry, incorporating highly relevant metrics into your aircraft broker company's business plan. Our list of business plan software packages offers a comprehensive guide to the best solutions on the market. Prior to opening an aircraft broker business in your area, it's a good idea to find out how many competitors you have. Use the link below to get a list of local competitors near you. After clicking on the link, type in your city, state and zip code to get a list of aircraft broker businesses near you. Is the local market large enough to support another aircraft broker business? If not, you had better be sure that you are doing things much better than the competition. If you are interested in starting an aircraft broker business, it's essential that you talk to somebody who is already in the business. If you think your local competitors will give you advice, you're being overoptimistic. It'd be crazy for them to teach you the business. But, a person who owns an aircraft broker business in a location that is not competitive to you may be more than happy to give you a few tips, given that you don't compete with them in their area. Many business owners are happy to give advice to new entrepreneurs In my experience, you may have to call ten business owners in order to find one who is willing to share his wisdom with you. Where would you find an aircraft broker business founder that lives outside of your area? Simply, try our helpful link below, type in a random city/state or zipcode, and start calling. Why Buy an Aircraft Broker Business? As a rule, would-be startup owners are better off buying an existing aircraft broker business. So why should you pin your entrepreneurial dreams on buying an aircraft broker business? There are a lot of reasons why it makes sense to buy a business, but the most important reason may be capital. Commercial lenders are usually more inclined to fund acquisitions than startups. Buying a business to get acquisition capital is a legitimate ownership strategy for aircraft broker business entrepreneurs. As an entrepreneur, your chances avoiding failure in business are substantially improved when you opt to franchise rather than going it alone. As part of your process in starting an aircraft broker business, it's worthwhile to investigate whether franchise opportunities in your space might alleviate your startup process. These additional resources regarding starting a business may be of interest to you. What's your experience with trying to open an aircraft broker business? The small business owners who read this article after you will appreciate your helpful insights. Are You Already an Aircraft Broker Business Owner? Do You Sell to Aircraft Broker Businesses?